Can Your LinkedIn Profile Bring You New Business? – Web Presence Esq. Can Your LinkedIn Profile Bring You New Business? Let it be said again: LinkedIn is the must-use (and most used) social network for professionals. With over 200 million users, and 74 million of them in the US, there is no shortage of business development opportunities for the savvy lawyer. As with any marketing tool, LinkedIn is far more effective when you make the most of what it has to offer. In this post, we will explore “Who’s Viewed Your Profile” and it’s value to you as a practicing attorney looking to bring in new business. Recently, LinkedIn changed the way Who’s Viewed My Profile displays in your settings (and if you are not regularly using this feature, start now!). 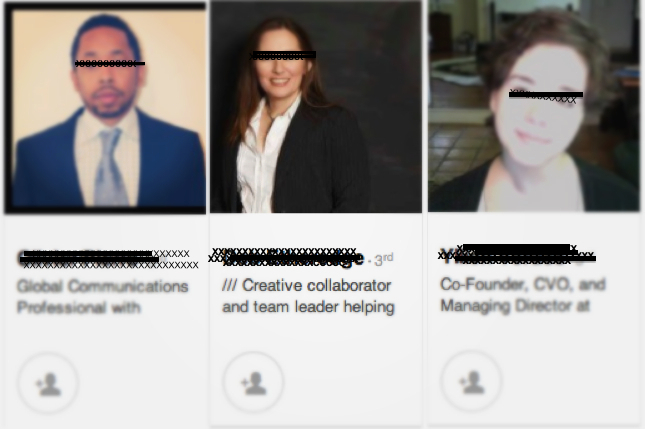 LinkedIn has dramatically shortened the content shown in a Who’s Viewed My Profile shot. This means that, in about 8 succinct words, you need to explain what you do in a somewhat creative and eye-catching manner. Sound like too much to ask? Talk to us about updating your LinkedIn profile. Professionals (your potential referral sources and clients) use LinkedIn to expand their networks. It’s up to you to — efficiently and without putting anyone to sleep — convince them that they should connect with you and potentially bring you their business. Your headline is your slogan. Make it count! 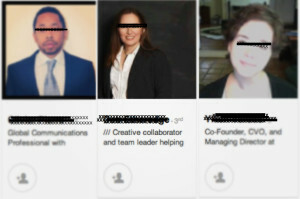 Below are a few examples of what doesn’t work for a LinkedIn ‘slogan’. Notice that headlines are cut off mid-sentence, leaving the guesswork up to the potential connection. In marketing, a brand (which is what you, the practicing attorney, are in today’s digital world) strives to avoid leaving the potential consumer with ambiguity as to the brand’s purpose or mission. Do not rely on your audience to accurately assume what you can do for them. Clearly, professionally, and creatively tell them. At WebPresence, Esq., we are licensed attorneys with marketing backgrounds who utilize our vast knowledge of the legal profession to maximize our client’s online visibility. We help our clients achieve their full business potential on LinkedIn, with tangible results. Increasing your network of professional opportunities (new cases, media placements, synergistic partnerships, and more) does not mean waiting for things to happen, it means combining circumstances, timing, and place to make them happen. Don’t have time to build your online presence? We understand. You have a law practice to focus on. Let us do the work for you. Comprehensive LinkedIn profile analysis, practical and proven network building recommendations for you to follow on a weekly basis, and a profile makeover. We will also search engine optimize your profile and create the ideal headline and summary. Yes, we will turn your LinkedIn profile into the gleaming, “call me!” resume it is intended to be. Cost: $395. Call us today at 310.906.0935. For the professional who is happy with how their profile stands out but is looking to increase views (ideally, visitors to your LinkedIn profile become visitors to your website, and then, new business opportunities for your practice). For one month, we will do all the work required to drive more traffic to your LinkedIn profile. At the end of the 30 days, you will see the increased activity and ‘buzz’ you have garnered. Cost: $200. To discuss, give us call at 310.906.0935 or email us at Info@WebPresenceEsq.com. You only have 7 seconds to make a first impression. Let us help you make yours. For more information, or to discuss your web marketing strategy, contact the skilled legal marketers at WebPresence, Esq. today. PreviousPrevious post:Kristen Marquis to Present at SDCBA on Business Development for LawyersNextNext post:Why is Legal Blogging a Necessary Part of a Smart SEO Strategy for Lawyers?